The Celio district offers a good choice of restaurants, wine bars and pizzerias. It is also full of greens. About our district, “Celio” (Caelium in Latin) is the name of one of the Seven Hills and of the ancient district (“rione”) grown on this hill. This rione is becoming more and more fashionable, like Trastevere, but it is full of greens: it is encircled by public parks like Colle Oppio and Villa Celimontana. Pubs, restaurants, wine bars and pizzerias are everywhere. Villa Celimontana, which hosts a Music Festival during summer and various cultural events during all year, is a beautiful park for jogging. IMPORTANT: at the moment works in progress are going on for the construction of the Line-C subway in piazza Celimontana. They can produce noise during working hours. Located in the heart of ancient Rome, DOMUS COLOSSEO is perfect for those who love both the majestic Roman antiquities and the little alleys or squares with their charming dolce vita. Everything is at reach on foot in the pleasant atmosphere of the Eternal City. r, if you prefer to take it easy, you placidly have at disposal no less than the Colosseum, Imperial Forums, Domus Aurea, Palatinus, Circus Maximus etc., all at two minutes walk. Getting off the train in Termini (Central Railway Station) Once you are in Termini you can reach the apartment by subway or by taxi. • By taxi Once in Termini you can take a taxi and reach via Annia. Of course a taxi might involve some waiting time, although it is probably much more comfortable especially if your luggage is heavy. • By subway Once in Termini, get on line B subway (Metro B), direction Laurentina, up to the Colosseo stop (second one from Termini). Here is the itinerary by subway. 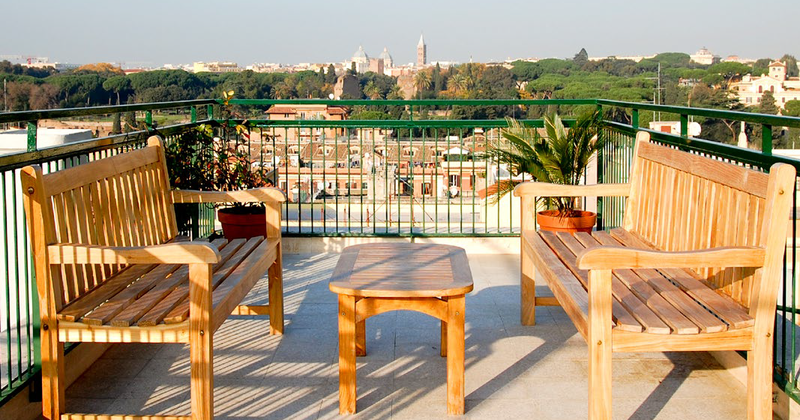 The apartment (located in Via Annia) is only 5 minutes walk from there. 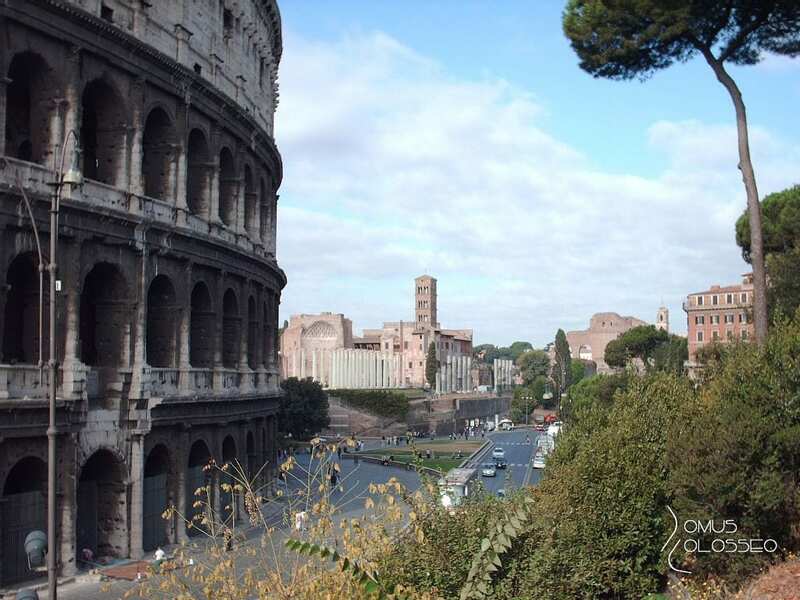 Here is the itinerary on foot from the Colosseo Metro stop to the apartment. Landing in Fiumicino/L.Da Vinci airport Once you are in Fiumicino/L.Da Vinci airport you can reach the apartment by airport transfer, taxi, train, bus or car rental. • By airport transfer Airport transfers are comfortable (the driver finds you, he knows where you have to go and you do not have to queue in order to find a taxi) and sometimes even cheaper than taxis, especially for large groups. • By taxi You can get a taxi to reach central Rome especially considering that the local government has recently fixed the taxi fares from/to the airport. • By car rental Fiumicino airport is only 32 km away from the centre of Rome which is easily reachable by car through the Rome-Fiumicino motorway. Take the Roma-Fiumicino motorway, direction centre. You will get to the Coliseum area easily, going straight on (1km) after the ancient walls. Once you are in Ciampino airport you can reach the apartment by airport transfer, taxi, bus or car rental. • By car rental Roma Ciampino airport is located on the via Appia, 15 km from the centre of Rome. Drive along via Appia, direction Rome centre. Keep going straight: you will reach the ancient Roman walls (13 km).